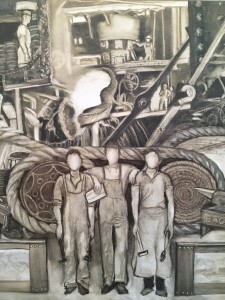 The Trenton City Museum at Ellarslie opens the The Bigger Picture, an exhibition of paintings and sculpture by four recognized local artists that have combined forces to make a statement that supports the relationship between larger paintings, sculpture and the timely celebration of cultural differences. For the museum this exhibition is the convergence of a curatorial concept born two years ago and the current social climate. 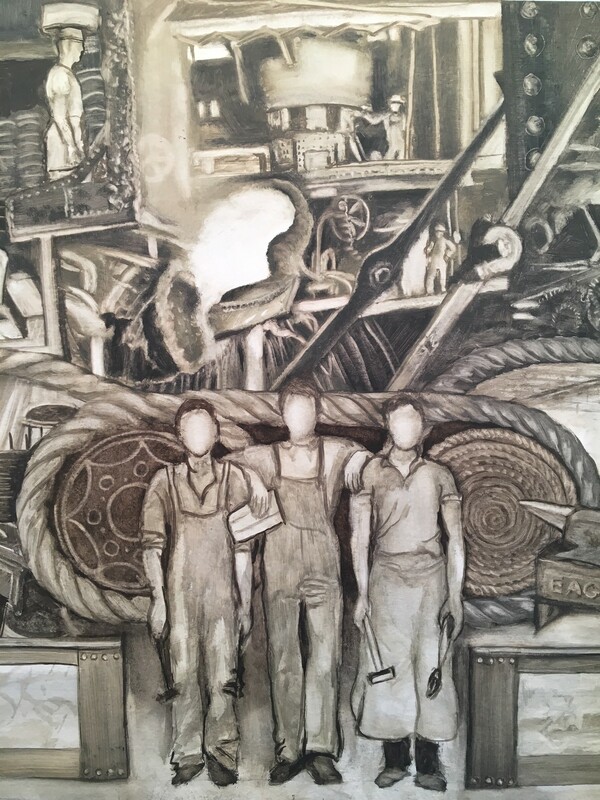 Illia Barger is debuting her celebration of Trenton’s Industrial Age with murals and paintings honoring workers during this incredibly productive time when the sheer output of their hands, heads and hearts was astounding. Raw materials in and highly finished products out via trains, river and canals rightfully earned the city it famous motto – “Trenton Makes the World Takes.” Inside cavernous rooms with daylight streaming through big windows, factory workers labored to the chugging of machines run by steam power. Outside, men dug canals, rode log rafts down river, built bridges, loaded trains and barges, operated locks and fire pumps all with the backdrop of the flowing Delaware. Malcolm Bray offers a selection of recent work from 2015 to 2018 that confronts the danger of rapid art and it’s inevitable consequences on modern painting and art history. 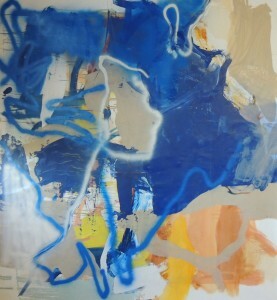 Bray experiments with a personal non-conforming style of abstraction, which includes the use of spray-paint. The larger canvases offer best evidence in this endeavor as semi-awkward and vulnerable compositions coexist with Brau – an invented condition – a kind of graceful graffiti. 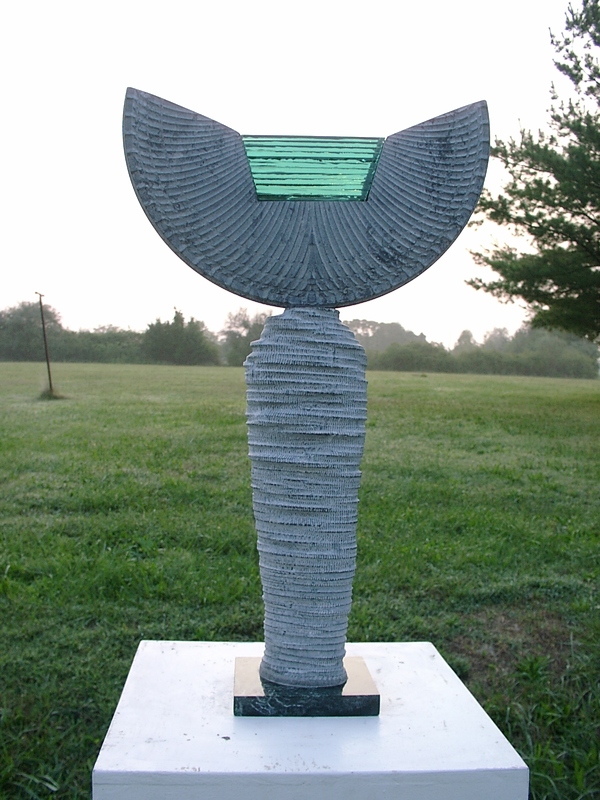 Christoph Spath, is a veteran sculptor who creates elegant, contemporary works. His work reflects his interest in architecture and forms of ancient civilizations. Glass and stone are his primary materials and his sculptures represent the balance of the natural stone vs the man-made glass. 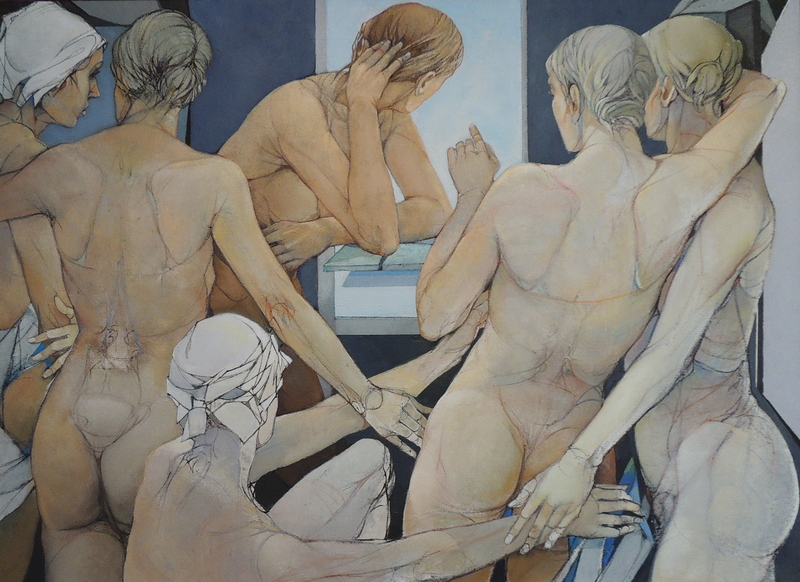 A conversation with the artists will take place on March 25, 2pm at the Museum. Read Janet Purcell’s review here.